Display a list of comic transcripts. Optional number of transcripts to show; -1 shows all transcripts. When checked, includes pending transcripts in the list. Pending transcripts may be edited and resubmited, depending on your collection settings. 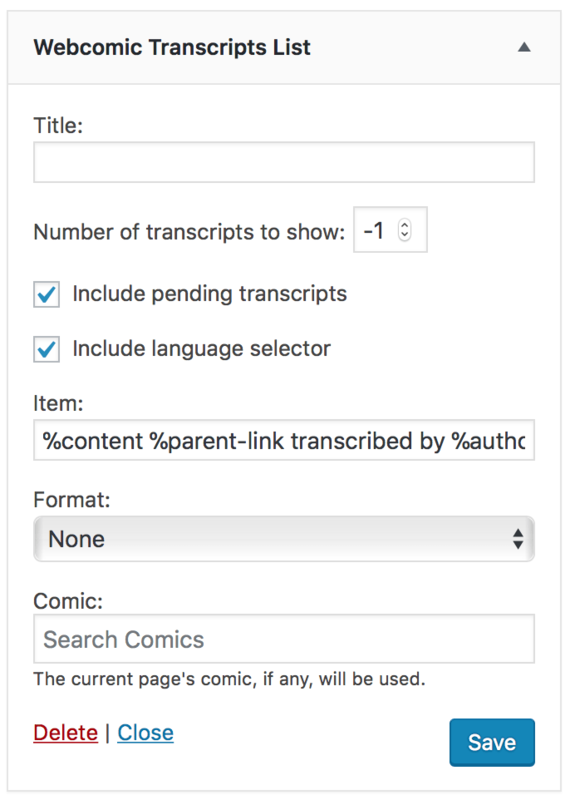 When checked, includes a select element to filter the list of transcripts by language. Transcript item format; accepts a variety of tokens. List format; one of None, Ordered, Plain, or Unordered. The comic to list transcripts for, or the current page’s comic (if any).